We’re in the first month of 2019 and you can rest assure that a torrent of Galaxy S10 leaks will come through. The latest one involves an image shared by a popular tipster, and from the look of things, Samsung will be improving the design of the upcoming flagship series considerably. The leakster has also shared the codename of the device, and we’ll highlight the cosmetic differences between this leaked image and the Galaxy S9. 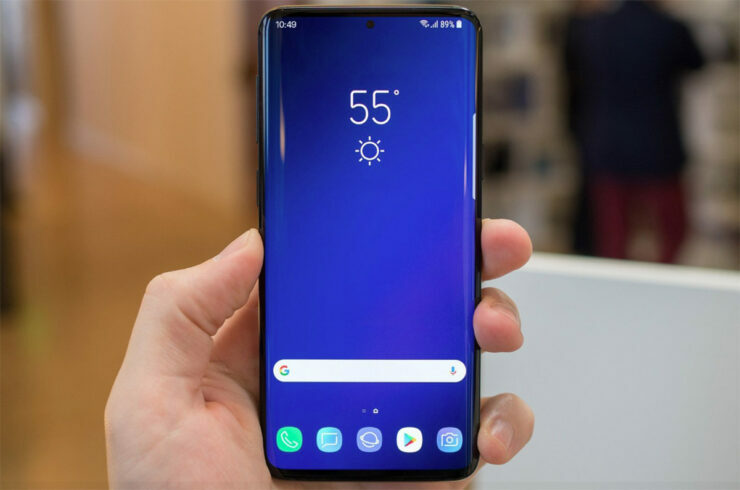 If you haven’t yet upgraded to a flagship handset and you want a device that has been given special attention regarding appearance, perhaps waiting for the Galaxy S10 will be the right step for now. Twitter’s very own Evan Blass is at it again, this time showing the Galaxy S10 from the front. The leakster has mentioned in the tweet that the codename of the handset is Beyond 1. While the design of the smartphone in the image has improved substantially if you compare it to the Galaxy S9, there are some disappointments that we’d like to share with you. While this can be subjective, and the top bezels are much slimmer, the chin bezel still exists. If a company like Apple possesses the financial and engineering resources to bend the OLED screen to eliminate the chin bezel on its iPhone lineup, then we see no reason why Samsung should not follow the same design approach. Then again, the image shared might just be a prototype, and the actual Galaxy S10 design will be much different than this. To attain that high screen-to-body ratio, Samsung will also be using an in-screen camera. 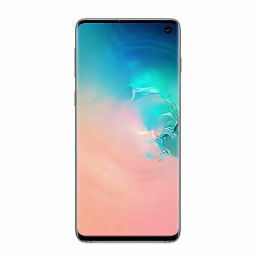 Since the Korean giant will continue using high quality and impressive Super AMOLED screen technology on the Galaxy S10, that hole should be much smaller in circumference when compared to devices that have already launched with in-screen cameras, such as the Huawei Nova 4. The side bezels are almost non-existence and what we’re looking at in front of us shows Samsung’s efforts to produce the best smartphone from a design ‘point of view’. The Galaxy S10 and Galaxy S10 Plus will reportedly launch at the upcoming MWC 2019 trade show. Unfortunately, the back side of this model was not shared by the tipster, otherwise we would have known how many camera sensors the backside would house. Do you think the latest image of the Galaxy S10 shows an improved design or do you believe Samsung could have done better? Let us know your thoughts down in the comments.